Living in California I'm fortunate to have winter temps that only dip down to the low 40's but I know there are many readers that live elsewhere that are having blizzards right now. Stay warm! How? 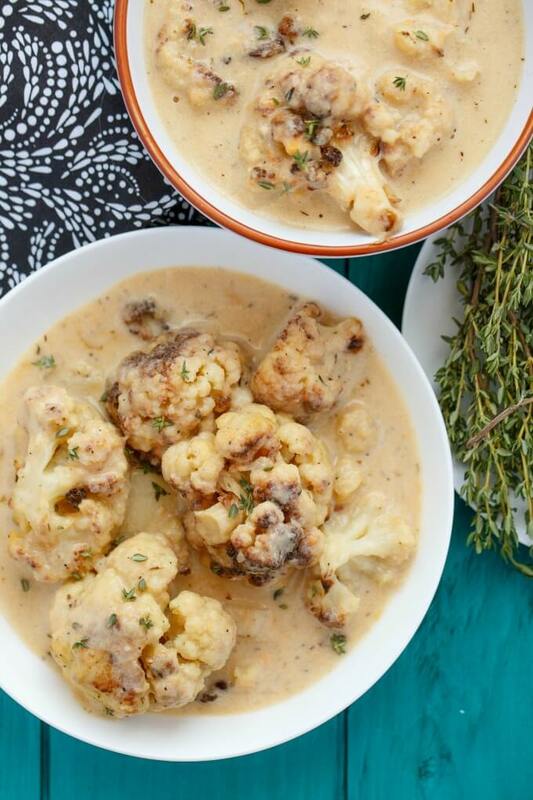 Roasted Cauliflower Soup--super easy and SO good for you--I used almond milk to make it creamy but feel free to go with a chicken or vegetable stock as well. The cauliflower is roasted before simmering to create a really rich flavor that adds lots of depth to this simple soup. Cut the cauliflower florets into rough 1/2 inch pieces. Combine with onion, olive oil, 1 tsp of salt, and the pepper. Toss and distribute into even layer on a baking sheet. Roast until the cauliflower is golden brown, stirring occasionally, 20 minutes or so. Transfer to a large saucepan and add almond milk (or vegetable stock), bay leaf, and white parts of scallions. Bring to a boil over medium-high heat, then reduce the heat to medium and simmer until the vegetables are tender, about 20 minutes. Discard bay leaf. Using an immersion blender, puree the mixture directly in the saucepan until mostly smooth but still with some chunks of vegetables .Taste and adjust seasoning; adding your favorites to the soup. Ladle into bowls. Sprinkle with almonds if you'd like and the green parts of the scallions, drizzle with olive oil. serve. enjoy.